I have a pizza obsession and will not stop experimenting until I get it right. I have been researching every night which keeps me up until 4 in the morning. 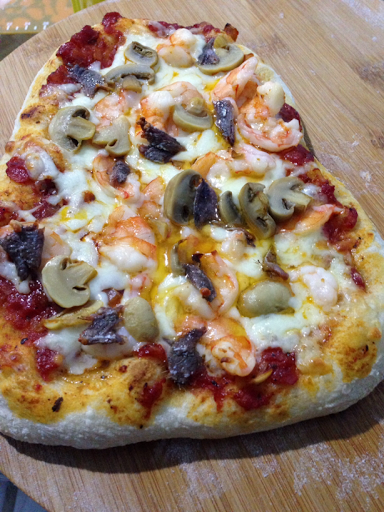 I remember my friend, Chef Bibo, who used to own a cafe, said that she used a pizza stone to get that brick oven effect. Last weekend, there was a sale in Crate and Barrel and I was able to buy one! Lucky me, it was not even on display but Jing encouraged me to ask. 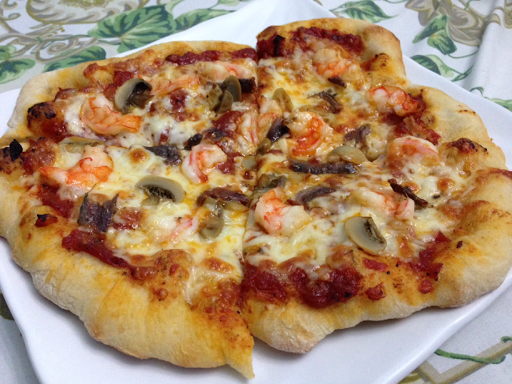 I used my Pizza From Scratch recipe. 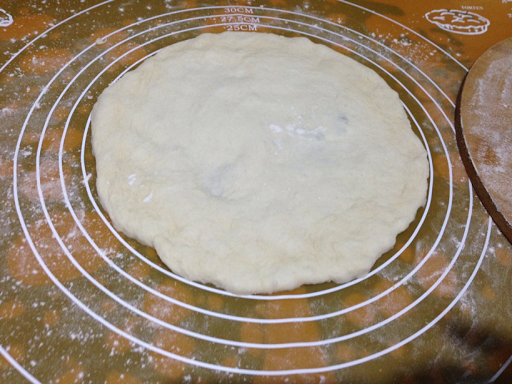 I let the dough rise for 30 minutes before using it. 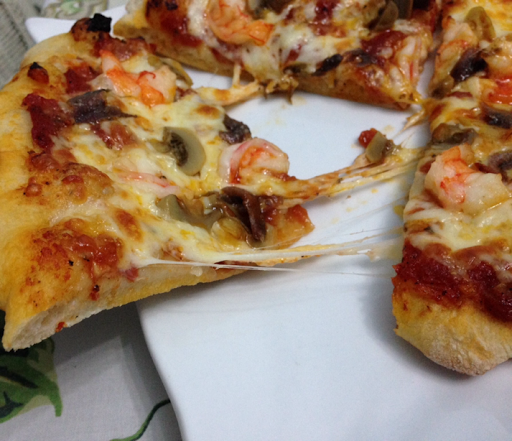 My favorite toppings are shrimps, mushrooms and anchovies, just like Shakey's Friday Special. 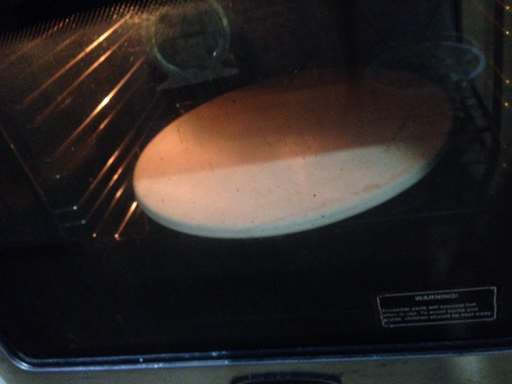 I divided the risen dough into 2 thin discs. 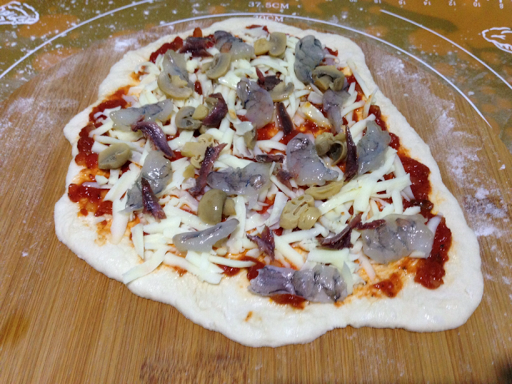 For each pizza, I used 1/3 cup of the Marinara Sauce, 60 grams grated mozzarella cheese and my toppings. I marinated the shrimps in a little olive oil, 1/8 t. sugar and 1/8 t. salt. Now for the hard part...... 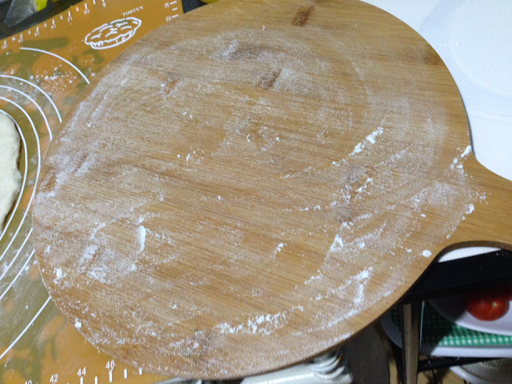 I dusted the pizza paddle with flour so the dough will not stick to it. 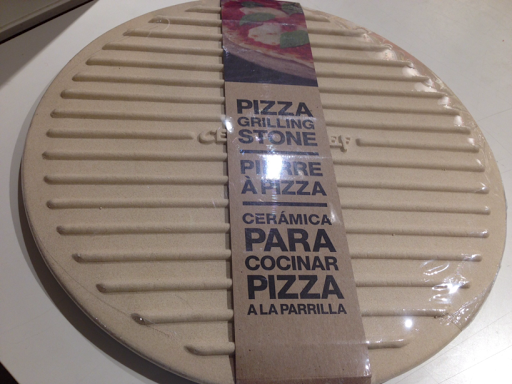 I had a difficult time transferring the pizza from the paddle to the stone. 5 minutes into baking, my oven suddenly shut off! What happened?!?! I think it was because I pre-heated it for an hour at 500 degrees! I let the pizza cook for a few more minutes then got it out of the oven. Cheese was stringy and I loved how it tasted! I waited for a few minutes and tried switching on my oven again. It worked! 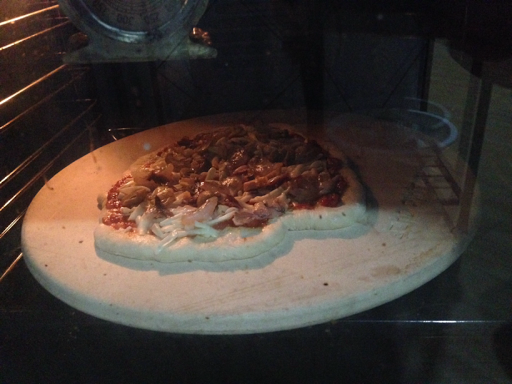 I baked my 2nd pizza but the oven was not as hot as when I baked the first pizza but still, it was ok. The next next time I make pizza, I will just set the temperature at 450. Hopefully, my oven will not malfunction again. I got me a brick oven for bread baking. Factory is in Cubao JY firebrick ovens. Hi Maricel! Thank you for the tip. I will check it out.